Executors and administrators are both known as personal representatives. They have the duty to probate valid wills, and to then manage and distribute the estate assets. The key difference between an executor and administrator is how they are appointed. Executors are chosen by the testator (the person who prepares the will). The executor is identified by name in the will and given powers to administer the estate. It’s good practice to speak with the person you want to be the executor before designating them in the will. Testators should appoint alternate executors in case the appointed executor can’t act or dies first. If the testator does not appoint an executor, then somebody still needs to step forward and request to be approved as the estate administrator. 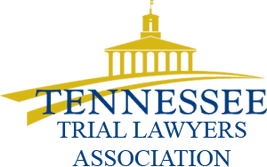 In Tennessee, the state statutes determine who can be appointed the administrator. Generally, the closest relative such as a spouse is given preference by the court. If there is a will, submitting the will and death certificate for probate approval. Providing notice of the decedent’s death to any known creditors. Advertising that the decedent died in local newspapers. Giving notice to all the heirs and beneficiaries that they have been appointed executor or administrator. Collecting and keeping the probate assets. Typically, the personal representative will obtain formal documents so he or she can collect these assets. He or she can also open an estate checking account. Filing inventories and accountings. Both executor and administrator provide summaries and details that show what assets belong to whom, what bills are being paid, and other financial matters. Preparing the income tax, fiduciary tax, and estate tax returns. Identifying all known creditors and the amounts that are due to each creditor. Requesting approval to distribute the assets to the heirs and beneficiaries. Often property must be sold. This includes real property, stocks, cars, and other assets. 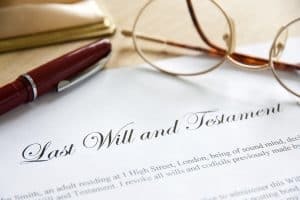 The personal representative either needs to have the authority to sell through the will or through the appointment by the court. Executors and administrators should get an appraisal of the property to verify its value. Many times, a person’ spouse is named the executor. Adult children are often named as successor executors. If multiple executors are appointed, it’s practical to appoint an odd number of executors so there won’t be any ties if there are disputes. Many times, the personal representatives are also the beneficiaries. For example, most seniors trust their spouses or children to handle their estates, while leaving some of their assets for them, too. Anyone who is not named as a beneficiary in a will may claim that the will is invalid. The executor will need to defend that type of claim. Often heirs and beneficiaries complain that the they aren’t getting the right value for their share or that they’re not getting their funds fast enough. Executors and administrators need to manage these complaints. 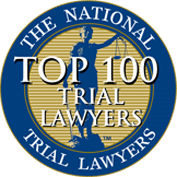 At Wagner & Wagner Attorneys at Law, we understand the tragedy of losing a loved one – even when he or she had lived a full life. We guide executors and administrators through this difficult time, so they can focus on honoring their relatives or friends and on moving forward with their lives. We represent personal representatives in court when necessary. Most estates are resolved quickly and amicably. For help now, please call us at 423-799-3532 or fill out our contact form. 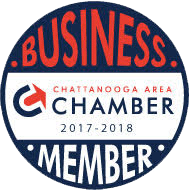 We represent families in Chattanooga, Cleveland, and throughout Tennessee.